Call me Mismeal. Some years ago—in the summer of '75 precisely—having about $1500 in my purse, and nothing particular to interest me at home, I thought I would tour about a little and see another part of the world. It is a way I have of driving off the jitters, and regulating the flow. I most likely left Nashville on the 24th of May. Bus rides to New York City in those days were about $50 for a 12 hour trip. Did I sleep on the bus? Do not remember. Probably... 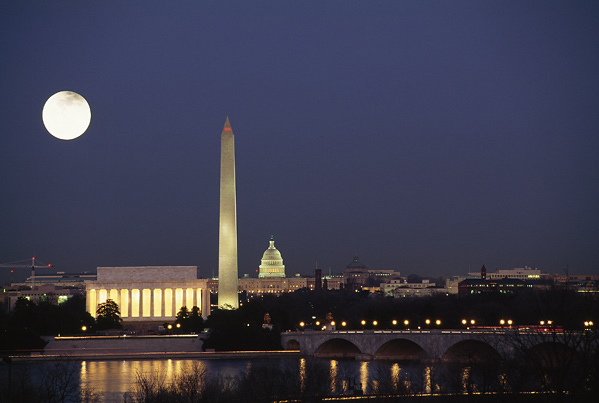 I vaguely remember waking up to the night lights of D.C. and the Ku Klux Klan monument. And, yes, the moon was full. P.S. If you don't see any animations on this page, try another browser like Firefox. Internet Explorer does not like animations. To make the animations play in Internet Explorer, albeit only once, go to your Control Panel\All Control Panel Items\Default Programs, and select ASSOCIATE A FILE TYPE OR PROTOCOL WITH A PROGRAM. Change the default program for .gif to Internet Explorer. However, it's a lot easier simply to change to Firefox.